Many of our customers dealing in food industry, recreational equipment manufacturing or gift items manufacturing demand custom packaging boxes with display window on top or either sides. Custom Window Boxes are getting more and more popular as time passes which makes many to wonder about it’s importance and necessity of many industries requiring custom packaging boxes. Today we will dive into the vastness of window boxes and will try to understand the reasons behind it’ success. Packaging boxes make a prominent role in success of a merchandise. Starting from manufacturing to pricing and marketing to profits, one needs to mind everything to be favourable while making boxes. The importance of showcasing the packed item cannot be ignored. That’s why a packaging box with display window is considered to be first choice of many buyers against other boxes designs. These boxes are also cost effective and has great value for money when it comes to keep expenses down without compromising quality. As we mentioned above that you cannot ignore the fact that customers want to get the idea about the product that is pre-packed. Assume you have made a product worth exhibition but cannot because your box has enclosed the product and doesn’t provide a view thus resulting a customer to walk away or try to open the box to take a peek at the product which can lead to some customers destroying the packaging. Not a good thing for your business. That’s Why window boxes are a must have if you need to display your magnificent pre-packed product. 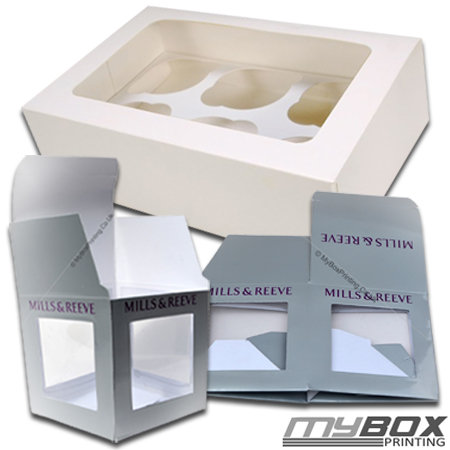 Much like other packaging boxes, window boxes can be made either cardboard, silk card or kraft card. But for display windows, a thin clear paper of pvc or cello is used protect the packed item from outer factors or pollution. Needless to say that these boxes are made of 100% recycled or biodegradable materials which make them more friendly to our environment. Update: Be sure to check our Christmas offer to save some extra money while ordering your boxes.